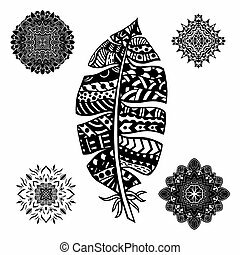 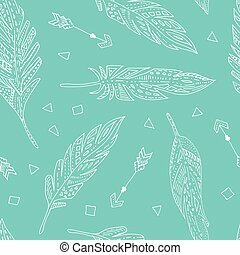 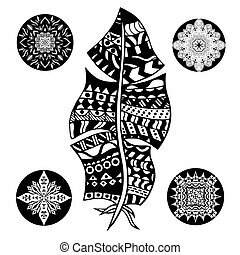 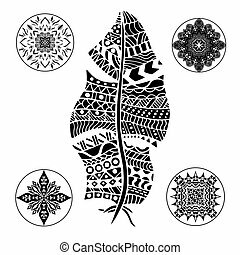 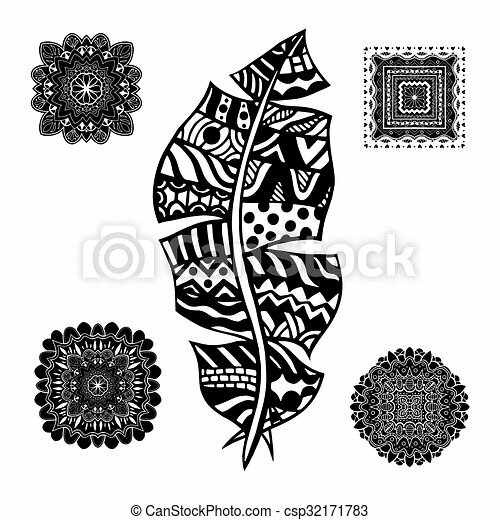 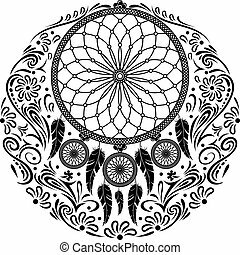 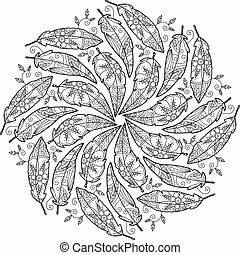 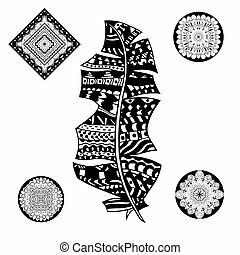 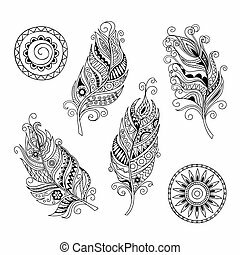 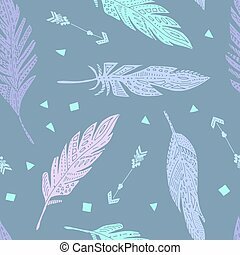 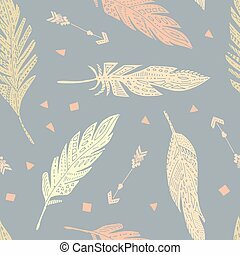 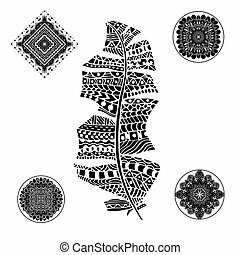 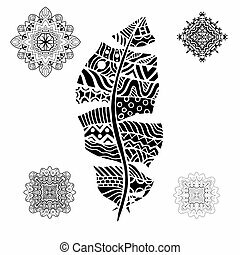 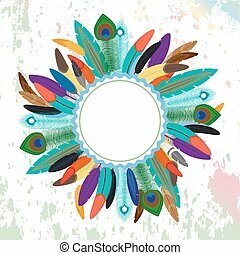 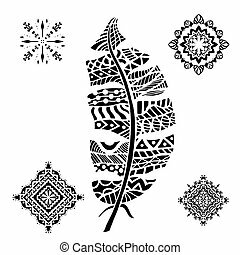 Feather and mandalas on a white background. 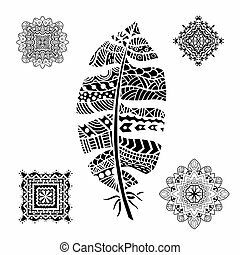 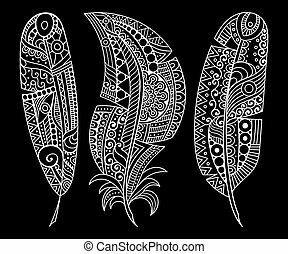 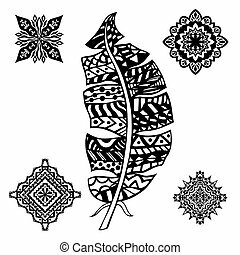 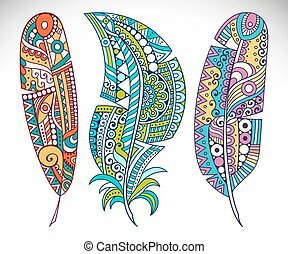 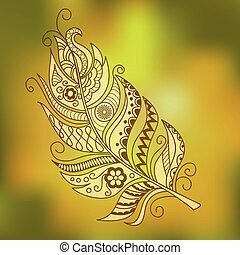 vintage, tribal, artistically drawn, zentangle, stylized feather. 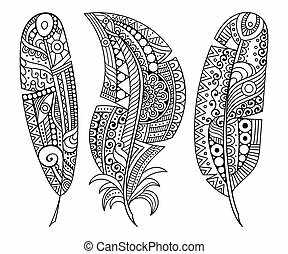 sketch by trace. 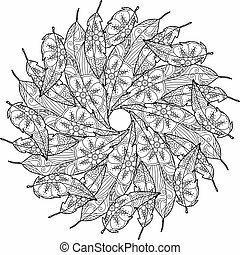 pattern for coloring book.